Check out jersey offers at BE Ultimate! 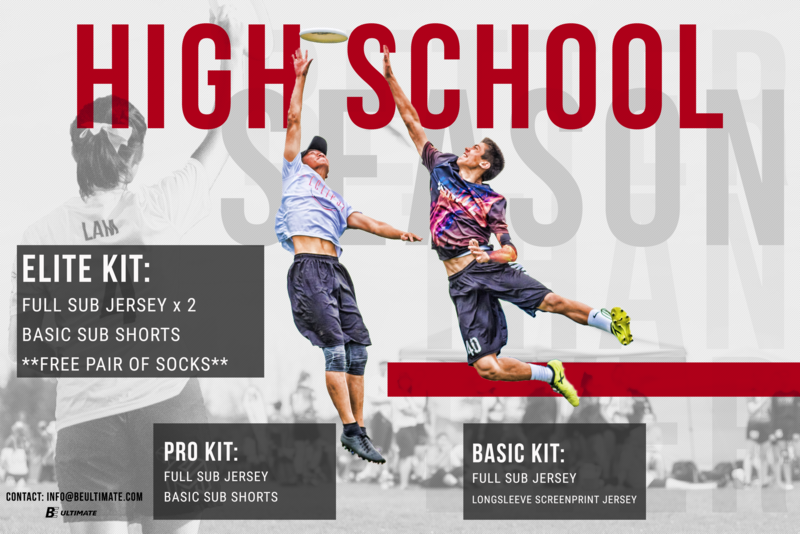 ​The Toronto Ultimate Club hosts the 14th annual Catch the Spirit High School Indoor Ultimate Tournament on Tuesday, February 26th (B DIVISION), and Thursday, February 28th (A DIVISION) at Monarch Park Stadium. This celebration of Ultimate emphasizes the Spirit of the Game, skill development, and balanced competition for all teams involved. It is a great opportunity to teach the game of Ultimate and get teams warmed up for the upcoming school season. The tournament will be held in the bubble at Monarch Park Stadium from 9:00am to 4:00pm, the format being continuous-play (speedpoint), 6-on-6, mixed gender (3:3 male:female). The tournament hosts 32 high school Ultimate teams in two divisions of play. Each day features 16 teams with the 'B' Division taking place on the Tuesday, and the 'A' Division on the Thursday. Registration will commence on Monday, January 21 on a first come, first served basis. Payment confirms your spot, and we will NOT, under any circumstances, be accepting payment on the day of the event. N.B. All participants must have a completed 2019 Junior Waiver in order to participate in the tournament.